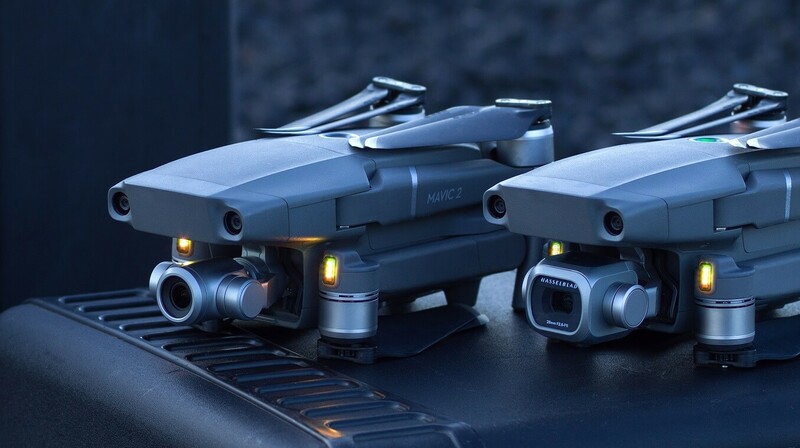 DJI, introduced a new era for camera drones with two additions to its iconic Mavic series: Mavic 2 Pro, the world’s first drone with an integrated Hasselblad camera, and Mavic 2 Zoom, the world’s first foldable consumer drone with optical zoom capability. When the Mavic Pro was launched two years ago, it redefined the way people looked at a drone and expanded possibilities for creators around the world... Today, we enter a new era of aerial photography with the introduction of DJI’s new flagship product, the Mavic 2 series. The Mavic 2 Pro and Mavic 2 Zoom will enable photographers and videographers to take their inspirations to the air quickly and elevate their creative ideas to new heights. - Kevin On, Global Communication Director at DJI.